Last weekend I accomplished something I didn’t think I was going to be able to do. You may recall that last January I made a rather extensive list of things I wanted to accomplish/finish this year. I’ve been rather distressingly unsuccessful with my list so far, and given we’re already in November I don’t have much time left to get things done. 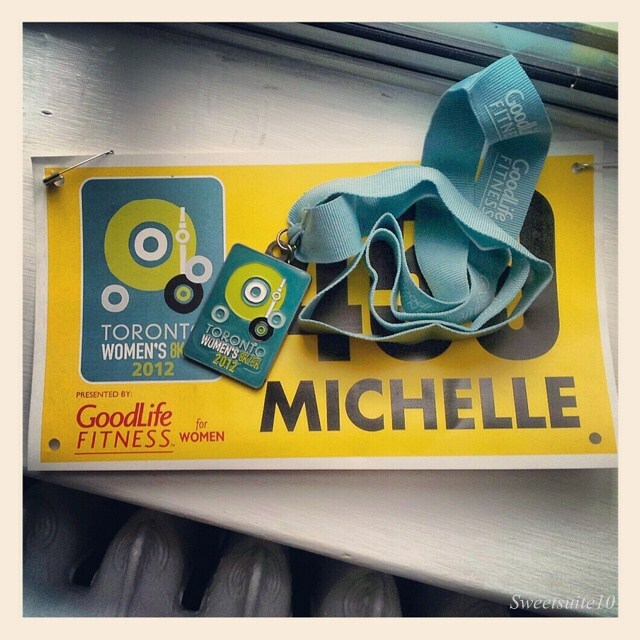 One of those things on my list was run a 10K race. I used to be a runner and even completed two half marathons even though I’m quite slow (molasses or lava come to mind) and not the most attractive of runners. Have you seen this circulating around Pinterest? That’s me. I'm not kidding. A couple of months ago I made a pact with a friend to register for, and run a 8K race. I then proceeded to not train, which was probably not the best plan in the world, but I had ‘lots of time’ before the race to get ready. Yup, remember when I admitted to being a procrastinator? Last Saturday was race day. Guess how many times I’d laced up my runners and gone for a run? If you guessed zero you should probably go buy a lottery ticket because you’d be right. On top of the small issue of not having run any distance in over 2 years there was the weather. It was pouring. 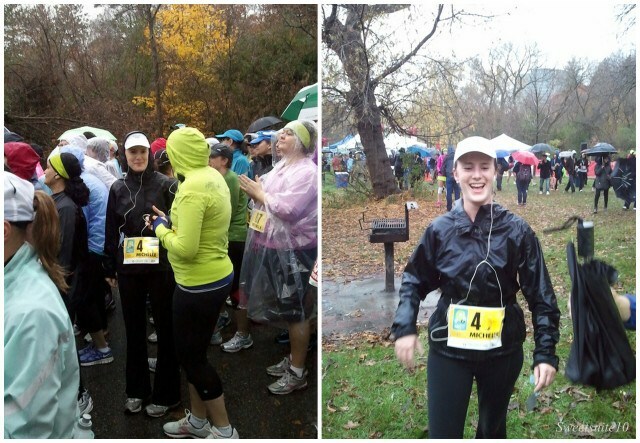 I don’t like the rain, and if I hadn’t gotten the brilliant idea that running a race would be something fun to do I would have remained buried under my toasty duvet. Anyways, I went and ran 8K in the pouring rain. That’s right – I ran it. Sure I stopped for walk breaks, but I’m quite proud to say that I ran at least 90% of the 8K distance. In the pouring rain. Yay Me! Race day before and after. That jacket I'm wearing? It's 'waterproof', and was completely soaked through by the time I finished. While It wasn’t the 10K that I originally resolved to complete this year, and my time of 58:26 was slower than my best 10K time, I’m more than happy with having completed 80% of that resolution. It also reminded me how much I enjoy running, so maybe I’ll start doing it on a semi-regular basis. Maybe. Perhaps. 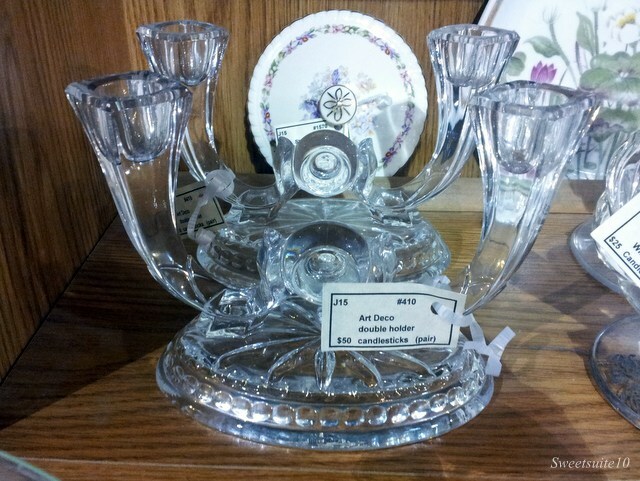 I think these candle holders are the same as the ones I bought. I’m pretty sure they're the exact same, but were being sold for $50. 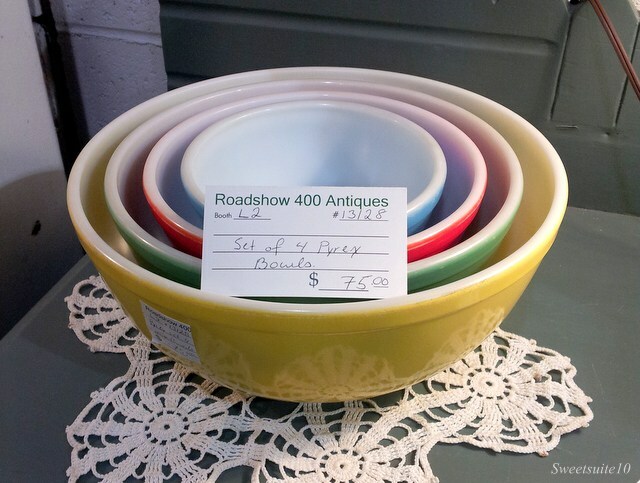 A few aisles over I spotted these lovely vintage Pyrex bowls. I loved the colours, but at $75 there was no way I could justify buying them as I’d be afraid to use them. Leaving them behind made me sad, however the day wasn’t a complete bust as I did bring something home with me. 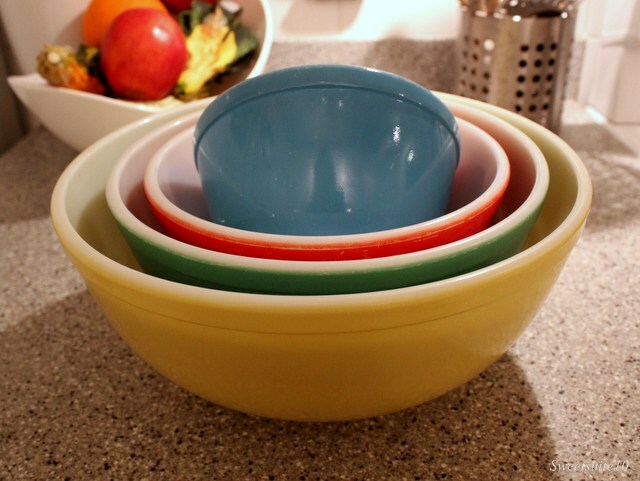 Yes – I brought home Pyrex bowls. These ones were literally 2 stalls over from the original set I spotted, and I bought them for a whopping $24. Better yet - mine are less scratched than the original set I spotted! I have no idea if $24 is really a good price for 4 Pyrex bowls, but given they were only a third of the cost of the original set I couldn't really say no could I? Would you have left them behind? Or would you have been like me and hobbled as fast as your race weary legs could take you to the cash so you could buy them? I went to that antique market over the summer and I was really surprised at how overpriced everything we looked at was. I had my eye on what I thought was a sterling silver bracelet for $25, until I finally got my hands on it and saw the stamp 'Claire's' on it. You know, the store in every mall where everything is like 5 for $10? $24 is a FANTASTIC price for pyrex bowls!!! Way.To.Go!!! !